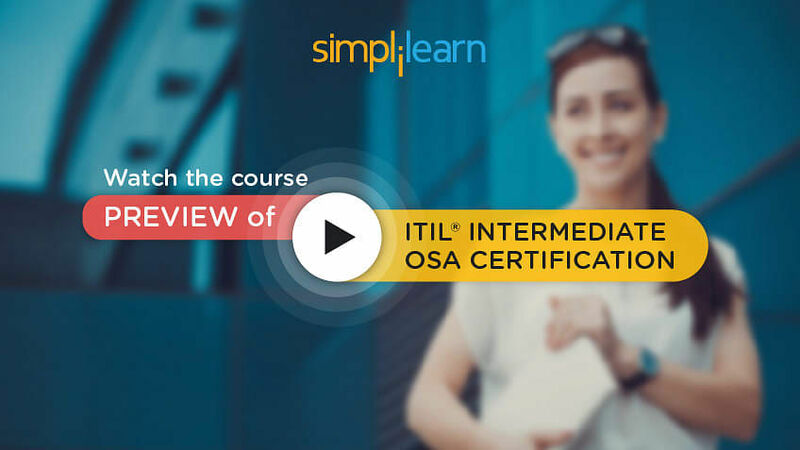 This is the introductory lesson on ITIL Intermediate Operational Support and Analysis (OSA), which is a part of the ITIL Intermediate OSA Certification Course. The purpose of this training module and the associated exam and certificate is, respectively, to impart, test, and validate the knowledge on industry practices in service management as documented in the ITIL Service Lifecycle core publications. The ITIL Intermediate Qualification, Operational Support, and Analysis (OSA) Certificate is a freestanding qualification but is also part of the ITIL Intermediate Capability stream, and one of the modules that leads to the ITIL Expert Certificate in IT Service Management. Individuals who require a deep understanding of the ITIL Certificate in the Operational Support and Analysis processes and how it may be used to enhance the quality of IT service support within an organization. IT professionals who are working within an organization which has adopted and adapted ITIL and who need to be informed about, and after that contribute to, an ongoing service improvement programme. Operational staff involved in event management process, incident management process, request fulfillment process, problem management process, access management process, service desk, technical management, IT operations management and application management, and who wish to enhance their role-based capabilities. Let us now look at the exam prerequisites in the next section. At least 30 contact hours (hours of instruction, excluding breaks, and not including summary review time) with an Accredited Training Organization (ATO) or an accredited e-learning solution) for this syllabus, as part of a formal, approved training course/scheme. 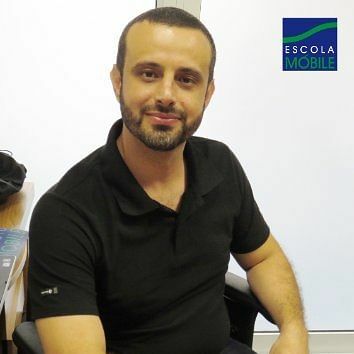 2 to 4 years’ professional experience working in IT service management is highly desirable. It is also recommended that candidates should complete at a minimum of 12 hours of personal study by reviewing the syllabus and the pertinent areas within the ITIL Service Operation core guidance in preparation for the examination, specifically, Service management as a practice. In the next section, we will discuss the OSA exam format. ITIL 2011 Operational Support and Analysis Exam consist of Eight (8) Multiple Choice Questions, which will be Scenario-based, gradient scored questions. Each question will have 4 possible answer options, one of which is worth 5 marks, one which is worth 3 marks, one which is worth 1 mark and one which is a distracter and achieves no marks. The duration of the exam is 90 Minutes. As a Prerequisite, you need to have an ITIL 2011 Foundation Certificate OR ITIL V2 Foundation Certificate plus Bridge Certificate AND Completion of an accredited course from an ITIL Accredited Training Provider. It is a supervised exam and closed book. You need to acquire a minimum Pass Score of 28 right answers out of 40 questions or score 70% in the exam. The next section talks about Tutorial Outline. Understand the introduction to operational support and analysis. Explain the various terms and core concepts of OSA. Explain the event management interpretation and analysis, principles, techniques, relationships, and application of these. Explain the design strategy, components, activities, and operations including organizational structure and interfaces with other processes. Understand the different components of incident management, its activities, and interfaces with other processes, the measurement model and metrics used to support incident management within OSA practices. Explain the end-to-end process flow for problem management inclusive of problem analysis techniques, error detection, components, activities and operation including its organizational structure, as well as any interfaces with other processes. Discuss the various OSA functions which are technical management, IT operations management, and applications management. Describe the design strategy, objectives, components, activities, roles and operation including its organizational structure and interfaces with other processes. Describe the best practices that need to adapt to overcome challenges and risks when implementing service management technologies. This marks the end of our introductory lesson. Let’s do a quick recap of what we learned so far. In this lesson, we learned about what is ITIL, ITIL intermediate, Definition of Service lifecycle and capability. We also got some information about the ITIL intermediate Examination format itself and looked at the prerequisite of taking up the examination. The next lesson talks about Introduction to Operation Support & Analysis.